Dry pipe systems for every situation. 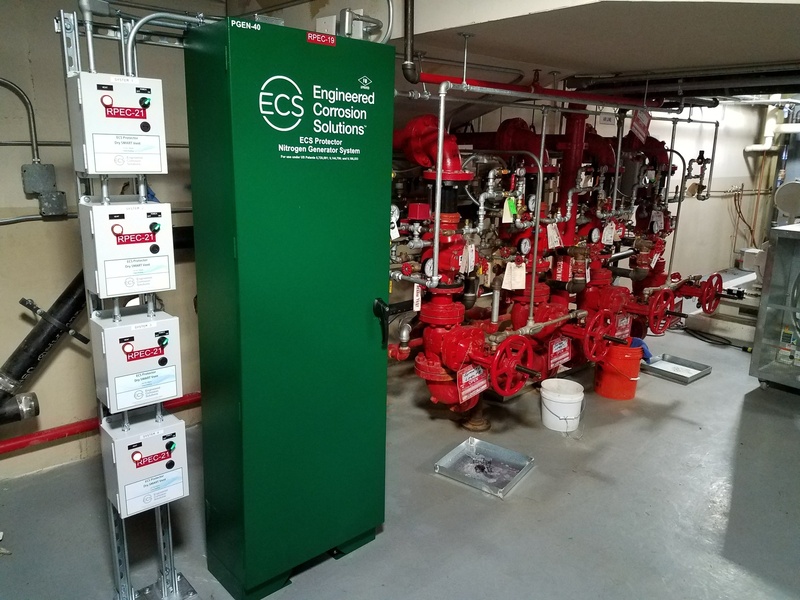 When reliability and business continuity are your priorities, you require the best solution available to prevent catastrophic leaks in dry pipe fire sprinkler systems. 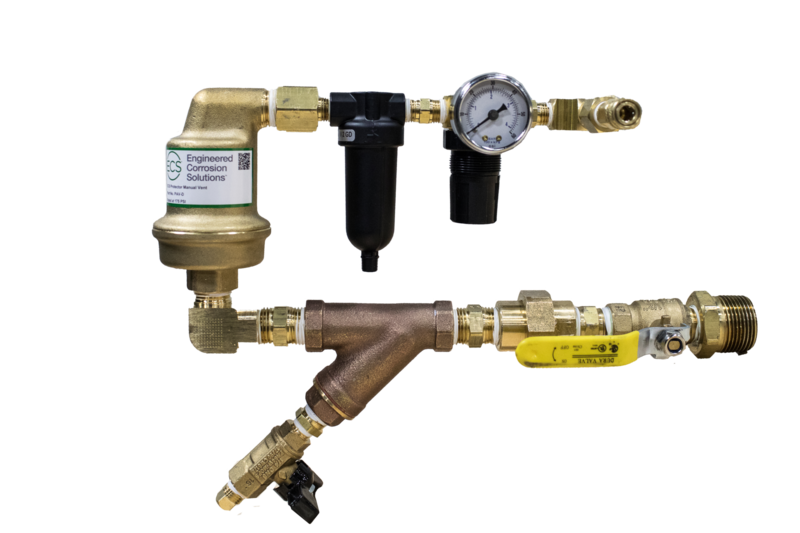 Our products are designed specifically for fire protection systems to meet the growing industry need for corrosion management. Dry-pipe and pre-action fire sprinkler systems do not survive in typical environments. 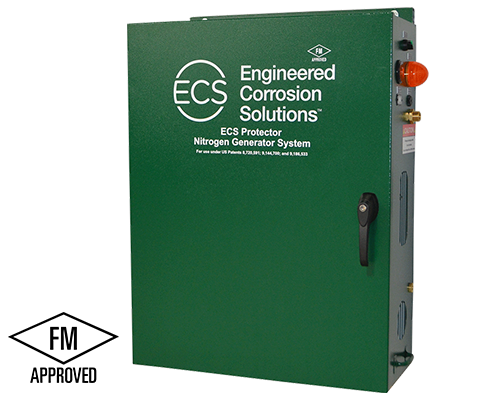 The innovations and patented technologies from ECS provide a permanent solution. The practice of displacing oxygen with inert nitrogen gas was conceived by our engineers and has become the industry standard approach. Cutting edge products combined with industry-leading service and support provide unparalleled corrosion management and risk mitigation solution. Find out the pricing for the ECS dry pipe systems. No equipment out over your space, no need to run gas sample tubing through finished spaces or drag ladders into a clean space. Minimizes equipment footprint and maintenance requirements. Monitoring contacts built into all generators provide assurance of system functions. Compatible with existing fire alarms and BMS. All products shipped within 72 hours. 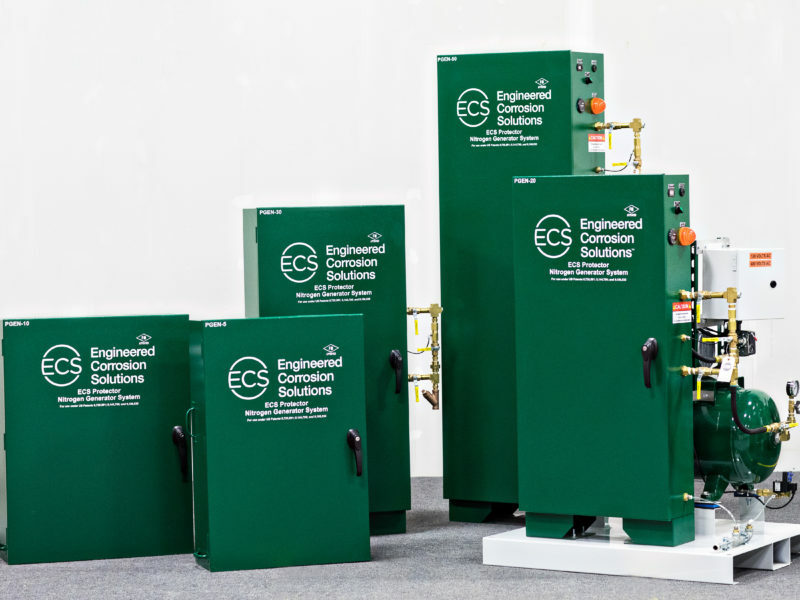 The perfect solution for small to mid-size nitrogen generator applications. Small footprint solution fits neatly into most riser-rooms for large applications. 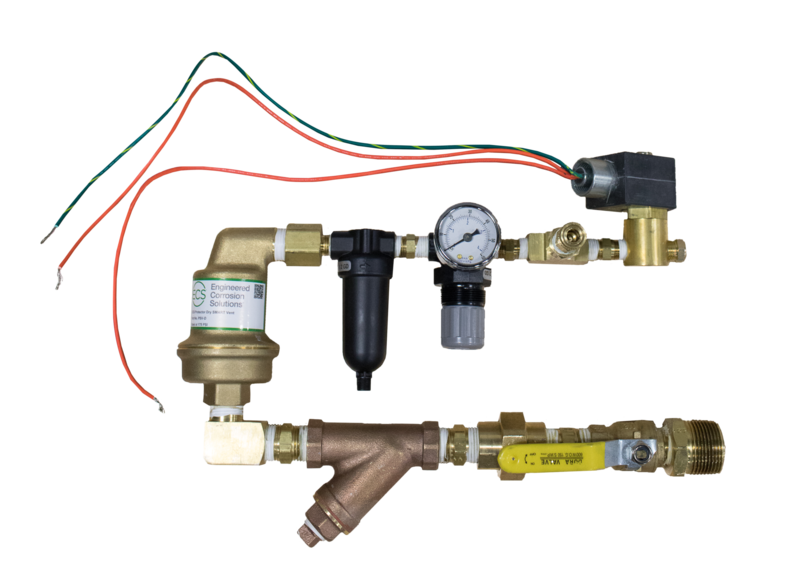 Quiet, reliable corrosion control, effective for mid-size fire sprinkler systems. 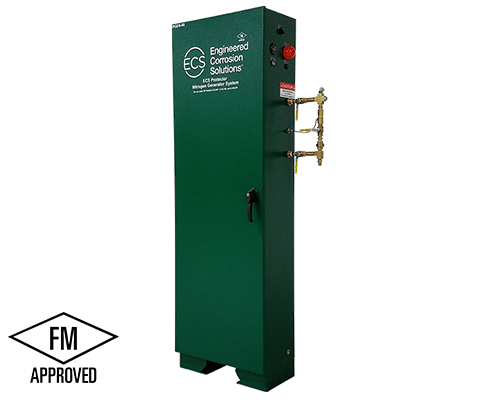 Paired with a nitrogen generator, this vent ejects oxygen from any dry sprinkler system. 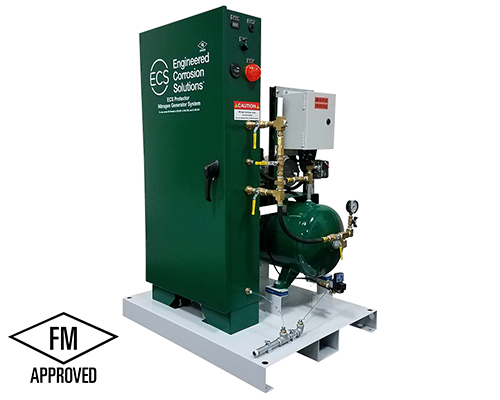 Paired with a nitrogen generator, this vent will eject oxygen from any dry sprinkler system.